Tabu, Dimple Kapadia got together on February 9 to celebrate the birthday of their close friend Amrita Singh in Mumbai. Joining the lovely ladies were designers Abu Jani and Sandeep Khosla. Amrita Singh turned 58 on February 9. 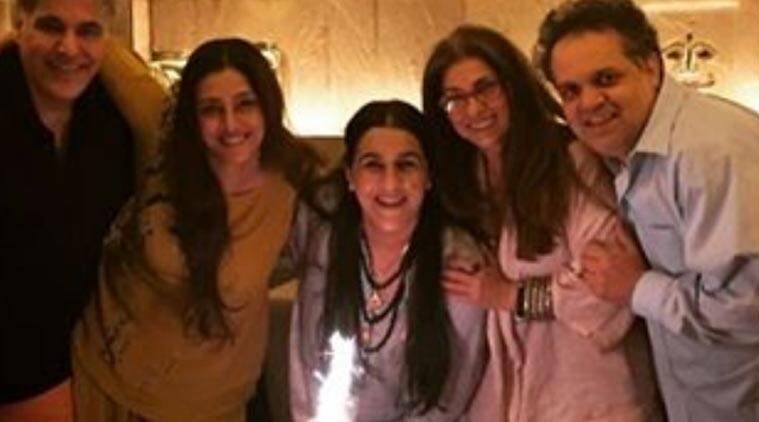 Bollywood beauties Tabu, Dimple Kapadia got together on February 9 to celebrate the birthday of their close friend Amrita Singh in Mumbai. Joining the lovely ladies were designers Abu Jani and Sandeep Khosla. Amrita Singh turned 58 on February 9. Amrita Singh was earlier married to Saif Ali Khan and has two children Saba and Ibrahim. She made her debut opposite Sunny Deol in Betaab (1983) and has reduced her work in Bollywood. Amrita was last seen onscreen as Arjun Kapoor’s mother in ‘2 States’ for which she also bagged an award.